(Above) The population of Ventura went up dramatically Sunday, as 308 teams of anglers rushed onto the ice for the Yellow Bass Bonanza. A whopping 1,790 fish, weighing a total of 984-pounds, were checked in at the annual Yellow Bass Bonanza Sunday on Clear Lake. 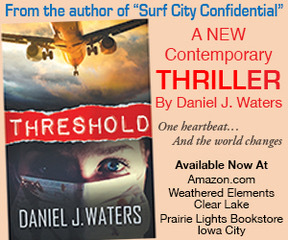 Three hundred and eight teams signed up for this year’s event. 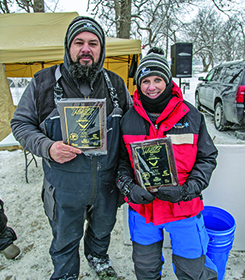 The first place team of Eric and Jackie Meyer, of Clear Lake, weighed in 30 fish at 18.72 pounds. Zach Hickle, of Elkhorn, Neb., and Corey Hafer, of Blair, Neb., reeled in another 30 fish totaling 17.73 pounds. Kevin and Brady Bock, of Belmond, were third with 30 catches that weighed 17.55 pounds. Other prizes awarded included an ATV and a Polaris Ranger. Winners were Jesse Keune and Dylon Jones, of Hawkeye, and Tyler Schmitt of Sherrill, and Christ Beaves of Muscatine. Key sponsors of the Yellow Bass Bonanza were: The Air Force, Pritchard’s Family Auto, Clam Outdoors, Kiss Country, and The Fox. 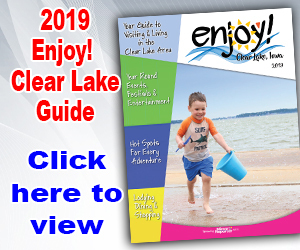 All of the work by sponsors and the many volunteers that goes into the event makes it possible for Clear Lake to host the biggest tournament in the state and one of the biggest in the midwest. Rounding out the top 10 placements were: fourth place, Lyon/Pippert team, 30 fish at 17.32 pounds; fifth, Trebon/Kuper team, 30 fish, 17.13 pounds; sixth, Pullman/Pullman, 30 fish, 17.10 pounds; seventh, Reed/Large, 30 fish, 17.04 pounds; eighth, Bean/Rezek, 30 fish, 17.02 pounds; ninth, Kojack/Dvorak, 30 fish, 16.98 pounds; 10th, Heimer/Oberfoell, 30 fish, 16.93 pounds.